Mark Hiller helps companies and individuals navigate their complex disputes at all stages, from pre-litigation through appeals. He has represented clients in a range of industries, including health care, manufacturing, telecommunications, banking and government contracting. 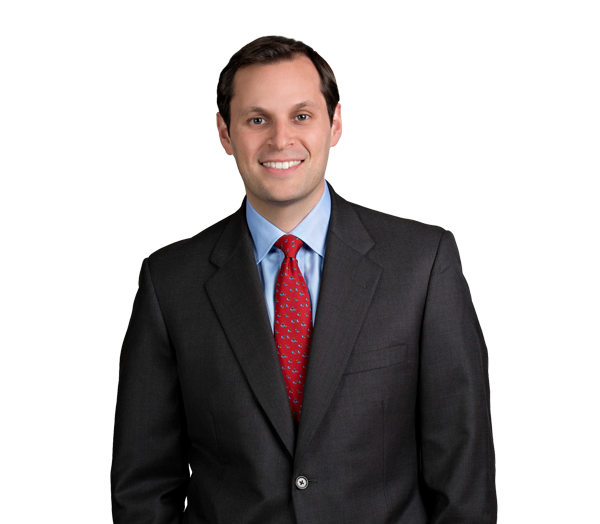 Mark's experience includes representing or advising clients on significant matters involving class actions, business and contract disputes, intellectual property, trade secret disputes, bankruptcy-related litigation, cybersecurity and the False Claims Act, among other areas. He also has represented clients in government investigations. Mark's appellate work draws on his experience as a law clerk to U.S. Supreme Court Justice Sonia Sotomayor. He has argued appeals in the 4th and 10th Circuits and has authored briefs on diverse issues in state and federal courts. Mark is active in the legal community, where he serves as co-chair of the NCBA Appellate Practice Section Pro Bono Committee. Before joining Robinson Bradshaw, he practiced law at a litigation boutique in Washington, D.C. Defends a global infrastructure company in a putative class action in federal court alleging violations of ERISA and the LMRA relating to the provision of health benefits for retirees. Defended an industrial gas supplier in a federal lawsuit alleging misappropriation of trade secrets and other claims. Represented a large company as claimant in an arbitration of a breach of contract claim. Represented an individual as claimant in an arbitration alleging breach of fiduciary duty and other claims. Defended a large bank against an effort to enforce a foreign judgment against it in the United States. Obtained dismissal with prejudice of a False Claims Act qui tam action brought against a hospital. In an issue of first impression in the 10th Circuit, persuaded the district court that compliance with federal clinical laboratory regulations is not a precondition to receiving Medicare reimbursement. Obtained dismissal with prejudice of a False Claims Act qui tam action brought against a defense contractor alleging violations of contract requirements. Represented an investment fund as plaintiff in a fraudulent conveyance action against Brazilian construction companies alleging the unlawful transfer of a large amount of assets. Represented certain unsecured creditors in the bankruptcy of a large coal company. Represented creditors in a dispute with a large Ukrainian power company seeking to amend the terms of its New York law bonds using United Kingdom insolvency law. Defended a health care provider in a large securities class action. Represented a large defense contractor in an investigation by a U.S. Attorney's Office. Represented a business executive in an investigation by a U.S. Attorney's Office. Represented two employees of a foreign company in an investigation by the Antitrust Division of the Department of Justice. Successfully argued a 4th Circuit appeal opposing the issuance of a preliminary injunction in a putative ERISA and LMRA class action. Represents a large telecommunications company in appeals in lawsuits alleging False Claims Act and other claims related to the alleged undercollection of certain government taxes. Represented a bank in an appeal from a judgment imposing liability for unfair and deceptive trade practices and breach of the implied duty of good faith and fair dealing. Represented a former U.S. congressman in the 4th Circuit appeal of his conviction on bribery and wire fraud counts. Argued a pro bono appeal in the 10th Circuit involving a complex question of federal appellate jurisdiction over interlocutory appeals in the qualified immunity context. Helped defend the liability portion of a $500 million judgment obtained in an adversary proceeding by unsecured creditors in the bankruptcy of a Florida homebuilder.